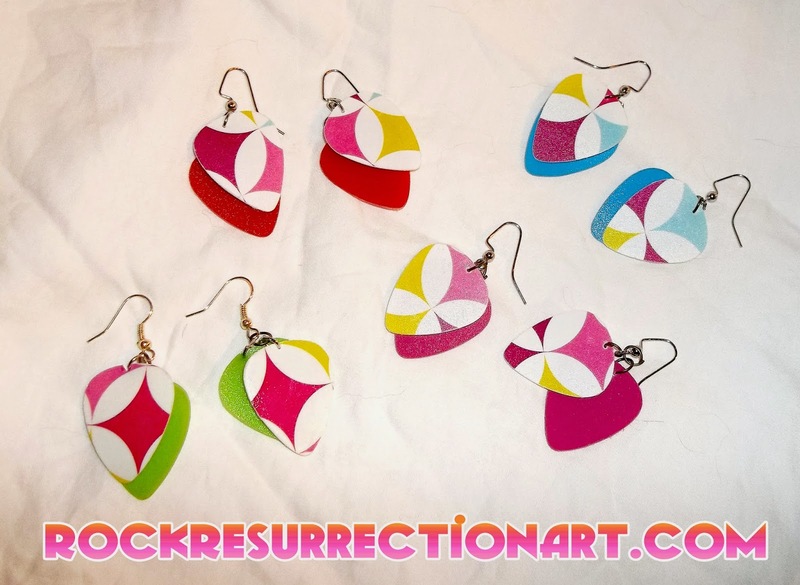 These four are my Harlequin pattern guitar pick earrings! Ones in red, blue, green and pink. Like most items under "NEW STUFF" these aren't posted in my store yet but they are available! I can also custom make them with any colors you like.